Some members of the North-West Network met recently and discussed lots of exciting ideas for our events in the forthcoming year. I thought two in particular were worth a mention here and I would welcome your views and ideas for extending this even further: The Member Social and the New Member Evening. We have a thriving professional series now and a regular monthly critique group but occasionally it’s also good to meet up and just exchange some ideas. Writers are often isolated. Professional, full-time writers don’t have all that much contact with other writers. Those of us juggling a day job or looking after a family with our writing really have very little time to be sociable. We’re in effect doing two jobs. That of course, is one reason why Words and Pictures is such a godsend. But actual human company is something we may miss. Both full-time and part-time writers miss the mail room / water-cooler from the office. There is nowhere to 'take five' and bump into colleagues. Online forums work to some extent but face-to-face, if only now and then, is extremely motivating. We were inspired by London’s Goal-Setting Brunches. We welcomed a chance to celebrate the small successes and share concerns and fears. Ground rules, around 'sharing the time' are a good idea to give everyone an opportunity benefit. for this so that there is focus and benefit for everyone. The venue is also important but see my notes below. All aspiring writers for children need SCBWI. Well I think so. And joining your local network has distinct advantages. 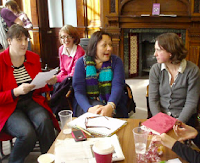 There are possibly quite a few readers of this blogzine who are not yet members or who are members of SCBWI but who have not yet become involved with their local network. General benefits of being a SCBWI member – Undiscovered Voices, the conference, the Professional Series etc. We could invite suggests and questions also. Then there should be plenty of time for mingling and exchanging contact details. Possibly a good time for this would be early evening and it’s important to find a pleasant venue. Quite a few pubs and cafes that have function rooms are happy to let you use the room for free at slacker times – e.g. 6.30 Monday evening - if everyone purchases a drink. Thus, SCBWI doesn’t acquire a charge and the delegates only pay the small amount they would have probably spent anyway. Do let me know your thoughts. 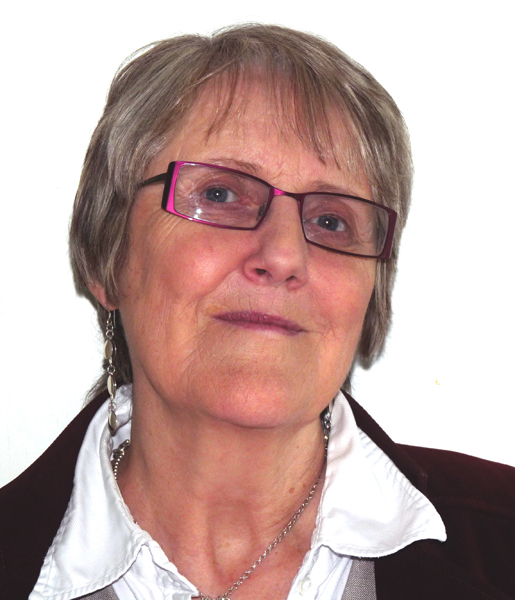 Gill James writes for children and young adults. She lectures in English and Creative Writing at the University of Salford. She recently attended a very inspiring planning meeting with the North West Network.